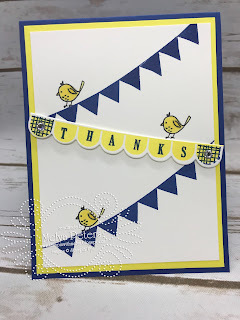 Todays’ share features the Pick a Pennant bundle that include the stampset and coordinating Framelits. 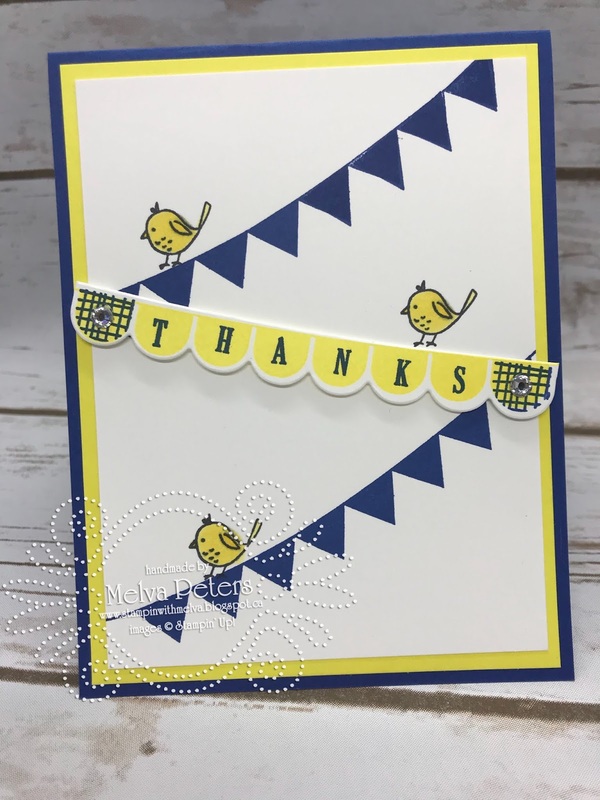 I love how bright and cheery this card is - I think it is the combination of Blueberry Bushel and Pineapple Punch. The card makes some smile!